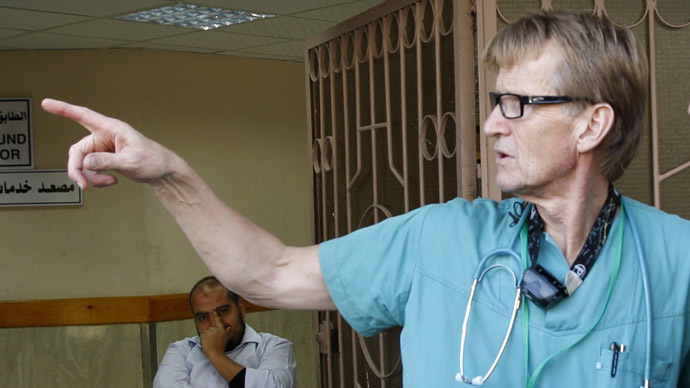 Israel has permanently banned Norwegian doctor Mads Gilbert from entering Gaza. He told RT that he has become “a great problem for the Israeli government” because he documents the atrocities he sees in Palestine. 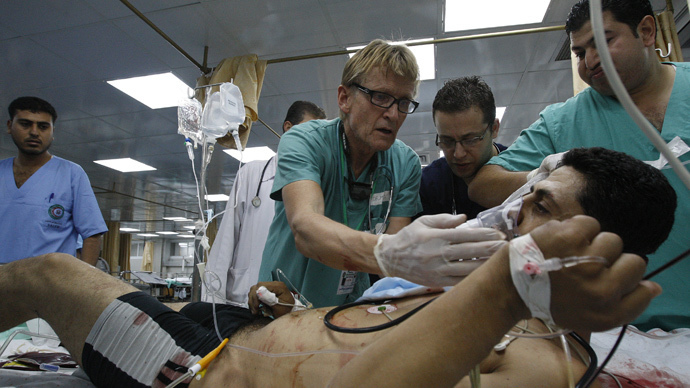 Dr. Mads Gilbert worked in the medical system of the Gaza Strip for dozens of years. In October, he was forbidden from crossing the border into Gaza, even though he had a valid document – a visa with multiple entries and documents from the Israeli army. The doctor did not receive any explanation for the denial. 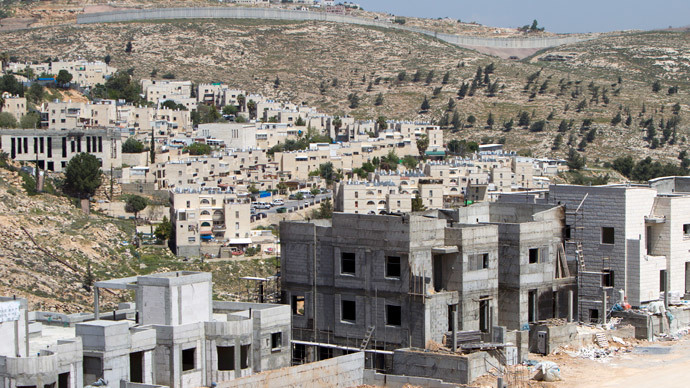 Israeli authorities say the ban was imposed for “security reasons,” but provided no details. Gilbert witnessed several Israeli military campaigns in Gaza and has been a vocal critic of the Israeli government. He believes the ban is connected with his activities, as he does not support any political force. As he says, he has only stethoscope, a pen, and a camera to document everything. Israel’s attempt to conceal the real situation in Gaza is the real motive behind imposing the ban, Gilbert says. RT: How do Israeli officials explain the ban? Do you believe it will be a ban for life? To me, that is absolute nonsense. I am a medical doctor. I have never done anything illegal. I’ve got a stethoscope, a pen, and a camera, and I document what I see. But I‘ve never been a security threat to Israel, of course. RT: What do you believe is the real reason for this? MG: I think that the truth is painful for the government of Israel. And the reality on the ground in Gaza during the last onslaught was horrible. And there were many medical personnel reporting on the situation. And I have been reporting on the consequences for the civilian population in Gaza many times. During the last eight years, I have been in Gaza in [the] chief hospital during all four attacks – 2006, 2009,2012, and 2014. And, of course, the reality for the civilian population is extremely brutal. And when we report that in numbers and medical terms, so that people can understand what is going on, this is a great problem for the Israeli government. RT: Could you describe the situation in Gaza during Israel's summer offensive? MG: Well, I have done that many times, so I think the previous interview with your channel is detailing that. 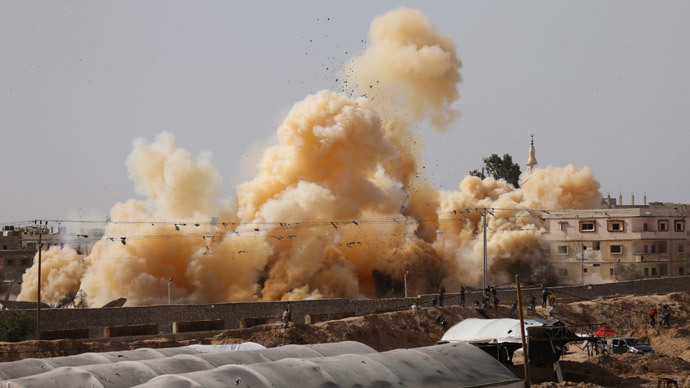 It was horrible, it was a large number of patients coming to the medical system in Gaza, the medical system itself was attacked, a number of hospitals and clinics were destroyed, ambulances were targeted. And [the] hospital had an average 100 patients per 24 hours coming to the hospital for 51 days. The hospital system in Gaza was lacking everything because of seven years of siege. And the injuries were extremely bad. According to the UN, the number of killed Palestinians was more than 2,100 and among them were actually 521 children, according to the latest numbers from the UN. So the situation in the hospital was very difficult and the number of injured was extremely high. And the civilian population accounted for, well, somewhere between 70-80 percent of the casualties. On the other hand, on the Israeli side, there were 71 killed, of whom 66 were Israeli soldiers. So, actually, there is no doubt that the Israeli government and its army used disproportionate force against the Palestinian people. They inflicted collective punishment on the people and they did not [make a distinction] between civilian and military targets. In addition to that, there was – and still is – a huge problem with water, with the food supply, with the reconstruction of bombed areas, with the fishery, you know. There were so many brutal examples of the siege and the bombing that just telling that story and giving those numbers is enough to, I think, make me trouble for the Israeli government. It is very hard to defend these numbers and the atrocities that they have perpetrated. RT: What's the humanitarian situation in Gaza right now? I just received an email a few days ago from the Norwegian Ministry of Foreign Affairs. And they say “that it is on security grounds from the security authorities, with – according to the Norwegian Ministry of Foreign Affairs – permanent duration from the 28th of July.” And the 28th of July was the day when I left Gaza during the bombing this summer after 15 days and nights. And they actually canceled my permit to enter. I had valid papers, documents from the Israeli army. I was given a visa, which had multiple entries, for a half a year, until the 11th of November. They canceled it on the 28th of July without [notifying] me. And the Norwegian Ministry of Foreign Affairs says that it is on a permanent basis. So again you have to ask the Israeli authorities why would they ban a medical doctor, unarmed. You know, I do not support any political party or faction, I don’t support HAMAS, I don’t support FATAH or PLO. I’m among many, many other Norwegians who support the Palestinian people and the Palestinian people’s right to resist the occupation and bombing from the occupying state of Israel.